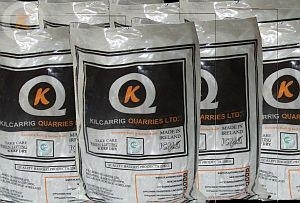 Kilcarrig Quarries produce a wide range of bag products in 20kg and 1 tonne bags. All our products are CE Marked and tested accordingly. We supply a range of dried sand and pre-blended powder products in 20kg bags, Sand, Mortar mix and Render mix. 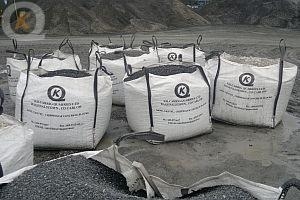 Our Mortar mix and Render mix bags which are ideal for the smaller quantity jobs for renovation or repair with no need to buy each constituent material, sand, cement, plasticiser etc. These 20kg pre-blended powder product bags, you only need to just add the required amount of water to achieve a superb high quality workable Mortar or Render. Traditional Lime Wet Dash (pre-soured) ⅜" , ¼"
All our bag materials are available for delivery or collection.